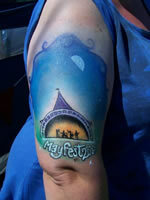 For the 2010 Festival we told you not to forget to bring your suncream! 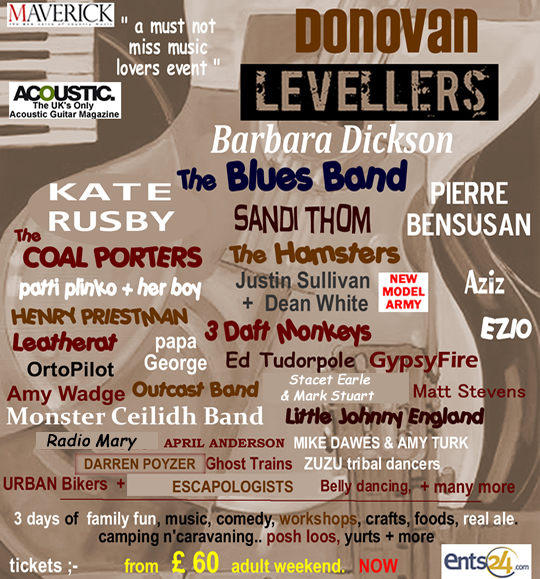 A Big Thank You to all the artists, traders, staff and crew who made the 2010 Acoustic Festival so successfull. with a special thanks to the Racecourse staff. And of course a massive thanks to all of you who bought tickets to help stage the event, and then came along to bring it all alive and create a very special atmosphere. THOUSANDS of music lovers from across the country have descended on Uttoxeter to enjoy the early summer weather and some top class music. 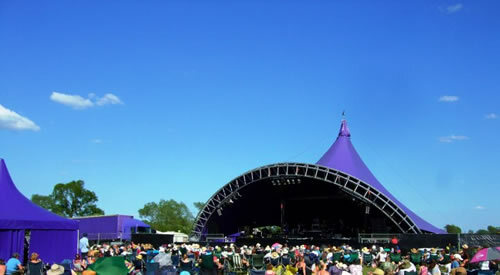 The Acoustic Festival of Britain saw top music stars such as Donovan, The Levellers and Sandi Thom wow the crowds during the three-day event. Uttoxeter Racecourse was bathed in sunshine and enjoyed soaring temperatures as it hosted the festival for the first time. The event received rave reviews from townsfolk who praised the music and the organisation of the weekend. Festival goer Paul Rhodes told the Advertiser: ?I would just like to say what a fabulous weekend at Uttoxeter racecourse. Great weather, a brilliant atmosphere, great music and no trouble. I hope that Uttoxeter embraces this event to make sure that it returns again and again. An event like this on a regular basis can only be good for Uttoxeter, putting our town on the map. Whoever thought that Uttoxeter would play host to the well known artists we had. Well done to the organisers let?s have another one sometime soon.? Town and borough councillor, and former Uttoxeter Mayor, Howard Grigg was also at the event and said he ?couldn?t praise it enough?. ?I would like to congratulate the racecourse; to put on such an event with in excess of 8,500 people over a weekend was outstanding. They handled everything expertly. I can?t praise them enough, they did a fantastic job and I don?t think anyone would say otherwise. It is something we should encourage. It was absolutely brilliant.? David MacDonald, the general manager of Uttoxeter Racecourse said he wanted to hold the event at the Wood Lane venue again and to make it ?bigger and better? next year. He said: ?It went really well. The atmosphere was fantastic really laid-back and family friendly. There wasn?t a hint of trouble. ?The local community and our neighbours supported it fantastically, people were even coming out of the houses in Wood Lane and asking us to turn it up but obviously we had to stick to guidelines. It is definitely something I would like to do again and I would like to make it bigger and better." ?I would like to thank the council, the police and the local community ? particularly our neighbours who?ve been great. I heard that Tesco had to bring in more staff and Wetherspoons was packed out so it was a fantastic event for the whole town. ?